Burke, Carrigan and I spent Saturday at North Market and ComFest. 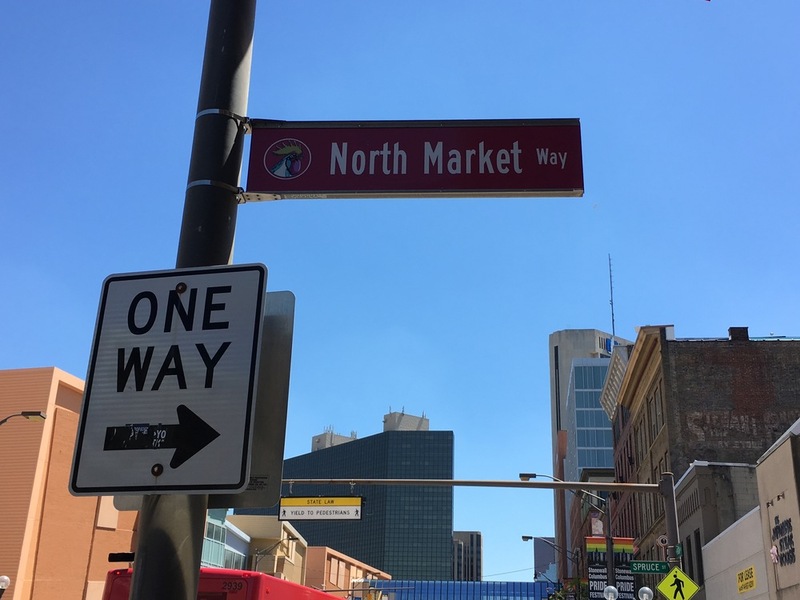 It is no surprise North Market is a great place to find the perfect lunch for everyone. With a wide variety of choices, we ordered two sandwiches from Katzinger's Little Delicatessen and followed those up with donuts at Destination Donuts! No matter what, I always make room for donuts! Every year, ComFest is a happy festival, with a variety of vendors and musicians to see. We also went to Grandview Hop, where we met new friends, and got to see The Sauceman and Bethany from DeMassimo's Authentic Sauces! To top off the evening, Burke and I took a drive downtown, and he captured the LeVeque Tower in a beautiful photo! No surprise, we barely missed Jessica and Jason a couple of times over the weekend. They also stopped by ComFest, and I have to admit, found some interesting hidden sights in their photos! On Sunday, they went to Sunny Meadows Farm which is a farm featured on the Ohio Ecological Food and Farm Association's 2016 Ohio Sustainable Farm Tour and Workshop Series. Jessica reports it was a refreshing experience to tour greenhouses on a hot summer day!